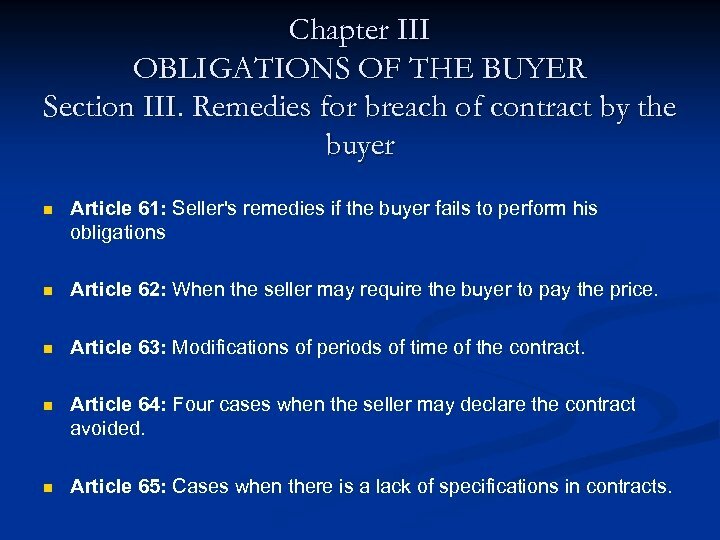 Chapter III OBLIGATIONS OF THE BUYER Section II. Taking delivery n Article 60 n The buyer's obligation to take delivery. 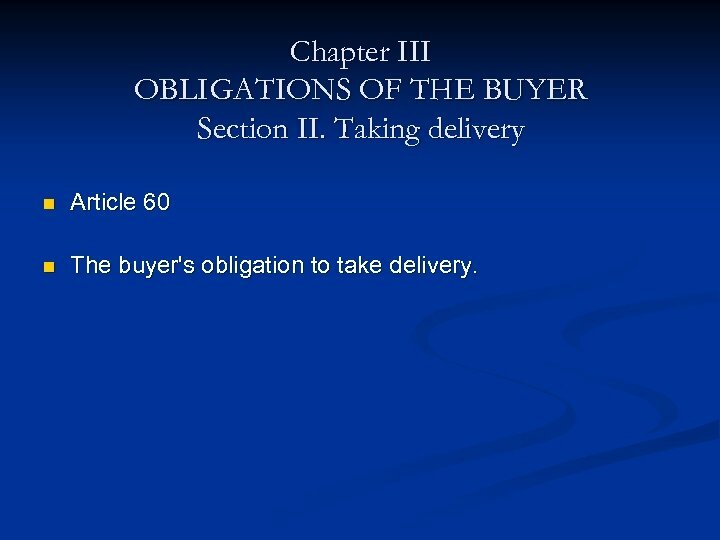 Chapter III OBLIGATIONS OF THE BUYER Section III. Remedies for breach of contract by the buyer n Article 61: Seller's remedies if the buyer fails to perform his obligations n Article 62: When the seller may require the buyer to pay the price. n Article 63: Modifications of periods of time of the contract. 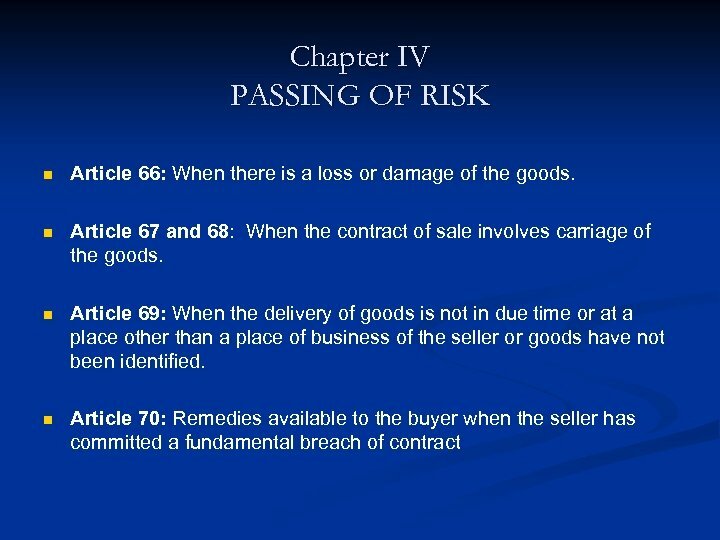 n Article 64: Four cases when the seller may declare the contract avoided. 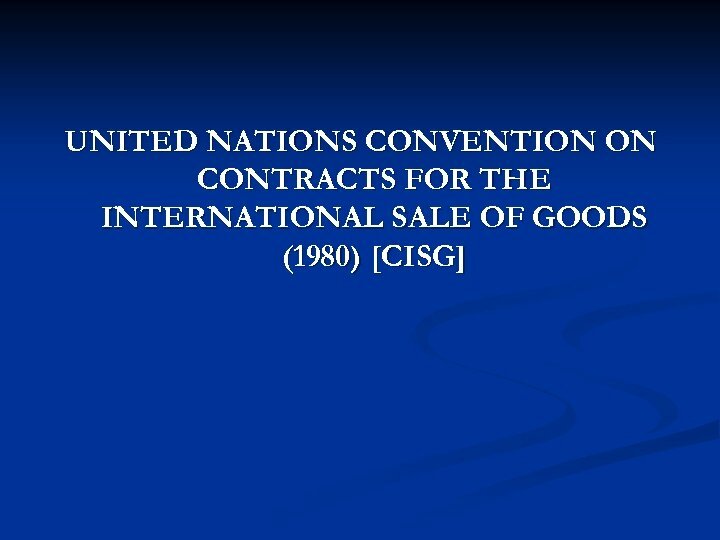 n Article 65: Cases when there is a lack of specifications in contracts. 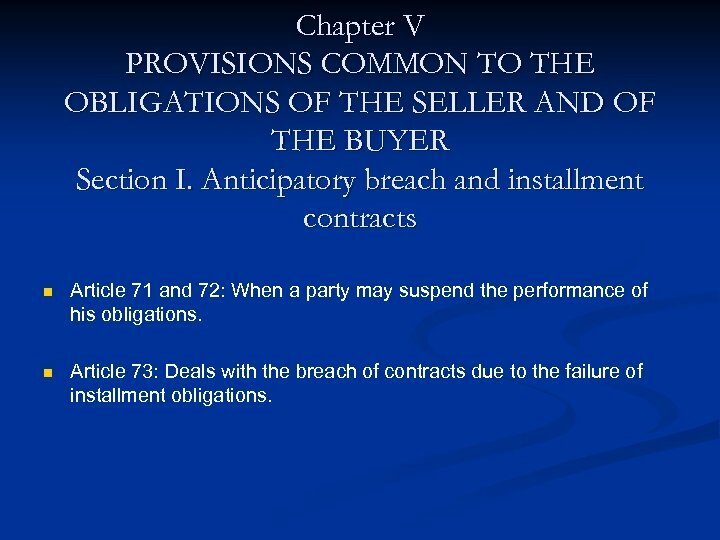 Chapter V PROVISIONS COMMON TO THE OBLIGATIONS OF THE SELLER AND OF THE BUYER Section I. Anticipatory breach and installment contracts n Article 71 and 72: When a party may suspend the performance of his obligations. 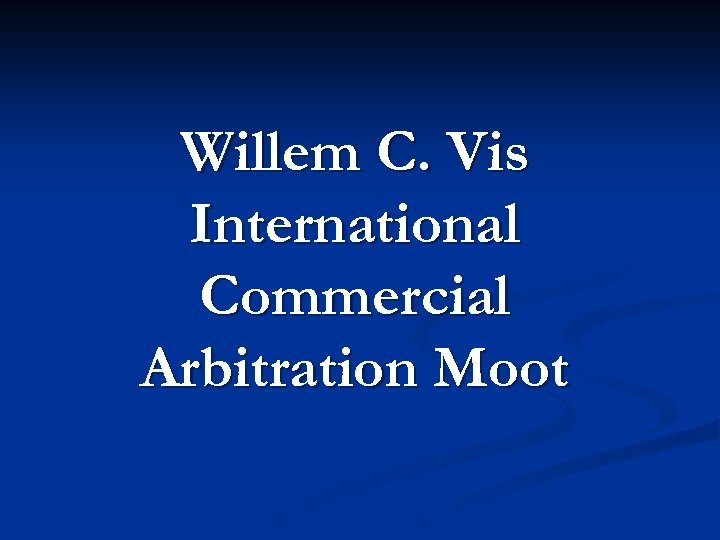 n Article 73: Deals with the breach of contracts due to the failure of installment obligations. 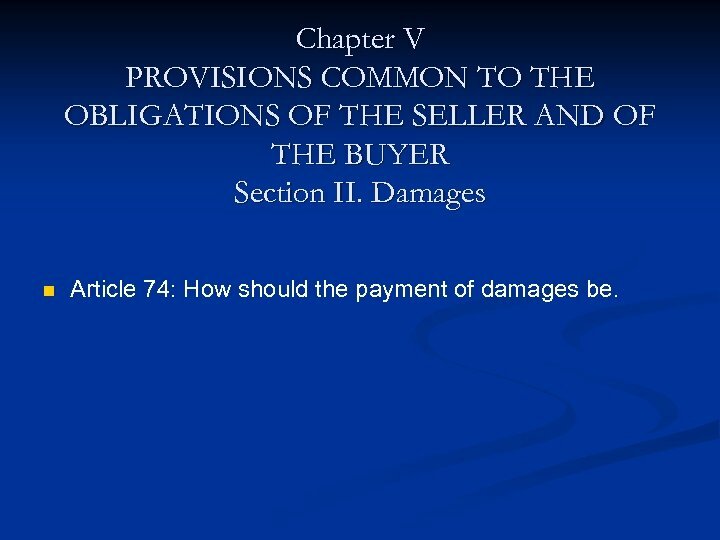 Chapter V PROVISIONS COMMON TO THE OBLIGATIONS OF THE SELLER AND OF THE BUYER Section II. Damages n Article 74: How should the payment of damages be.